Editor’s Note: this post first appeared in July of 2015. But SEO (and Google Analytics!) changes quickly, so we figured it was time for a refresh. We’ve included new information on how to track blog traffic in Google Analytics in 2018. This is the first blog post in our series on “How To Measure Blog Success”. Do you have a question about blogging that we should answer? Send us a tweet or shoot us a note and we’ll answer it as best we can. Blogging is a huge time investment, and you want to know that your investment is paying off. The best way to determine your blogging ROI (and make adjustments as needed) is to learn how to check blog traffic. Tracking blog traffic early and often means you can stop focusing on topics that don’t bring in readers and deliver more of the content that works. Taking a look at your blog analytics shows whether people are reading your posts, which posts are the most popular, and gives useful insights into who these readers are and where on your website they’re most likely to click. This means that instead of flying blind, you can adeptly tweak your blogging strategy to get the traffic you want. In this post, we’ll walk through how to track blog traffic in Google Analytics and what metrics you should use to understand more about your visitors. Most blogging platforms have built-in analytics (e.g. 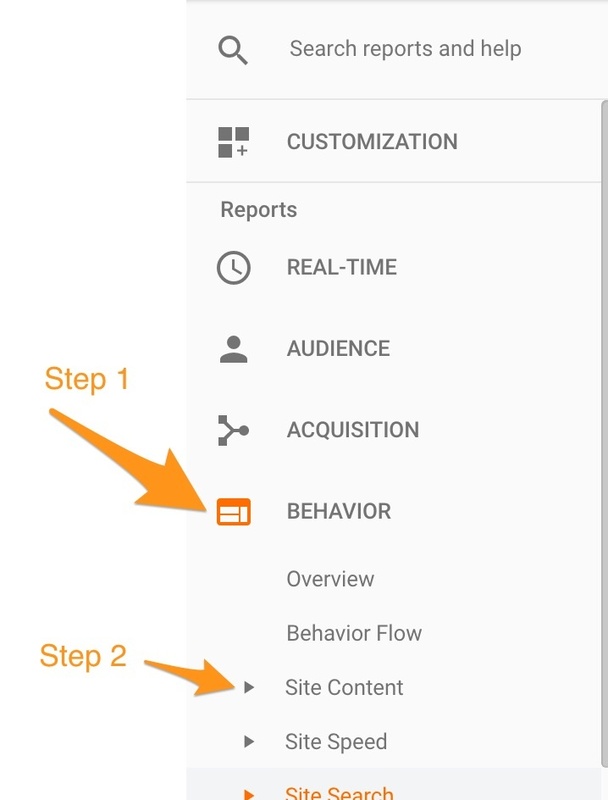 HubSpot) or a Google Analytics plug-in (e.g. WordPress) to track blog traffic and site visitors. 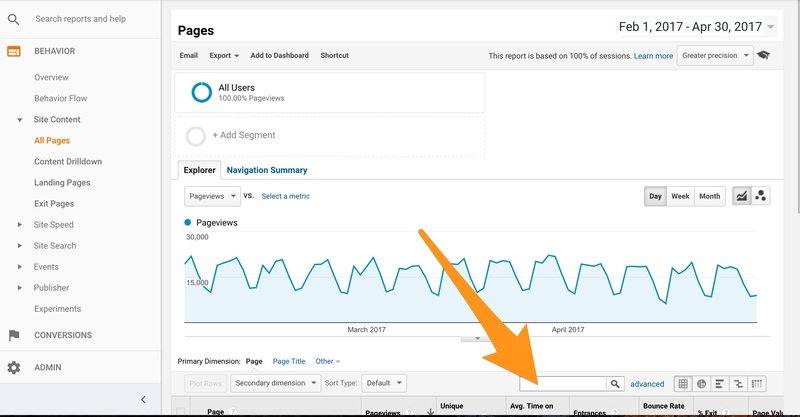 Regardless of the blogging platform you’re using, we recommend that you check blog traffic with Google Analytics using the Google Analytics website. As long as Google remains the granddaddy and leader in search, it behooves businesses to track blog traffic with Google Analytics. Because if Google doesn’t see your blog, it doesn’t exist. As a side note, if you still need to set up Google Analytics, here’s Google’s help page. If you’re using a particular blogging platform, a quick search for “setting up Google Analytics for [your platform]” will typically lead you to intuitive instructions. Google Analytics can be intimidating when getting started. Start small and measure only one or two things to get comfortable with using the platform and interface. And once you’re comfortable, you can start using Google Analytics on a more comprehensive scale. In this section, we’ll walk through how to isolate just traffic to your website’s blog, and assuming your site contains more than just a blog. Google Analytics for bloggers with just a blog on their site, no other sections, functions very similarly, so you’ll just need to look at all of your site’s pages instead of limiting your search. 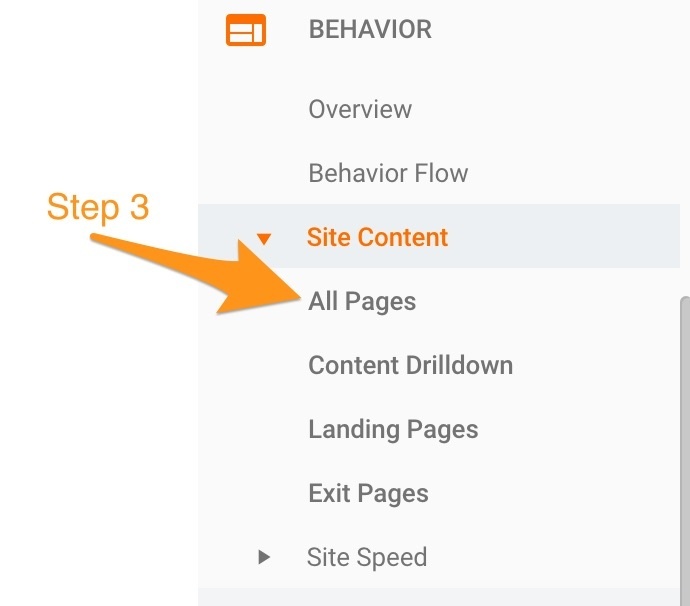 We’ll be using the “All Pages” report in Google Analytics. Now that you’ve gotten to the “All Pages” report, let’s filter your results to look at just your blog, not the entirety of your website. To do this, we’ll use a filter to limit the results of the “All Pages” report to your blog (otherwise it shows—you guessed it—all the pages of your site). That means we’ll filter our results by entering the path: /blog/ in the search bar on the all-pages report. Instead, if your posts are located in a subdomain on your website (indicated by the “blog.” at the beginning of your post URLs), you’ll just enter “blog.” into the search bar. Then, just hit the magnifying glass to search. You’ve now limited the “All Pages” report to show just results for your blog and you’ve now got blog Google Analytics! When you look at the report, you’ll see a list of your blog posts in the table below the graph and metrics associated with each of them. 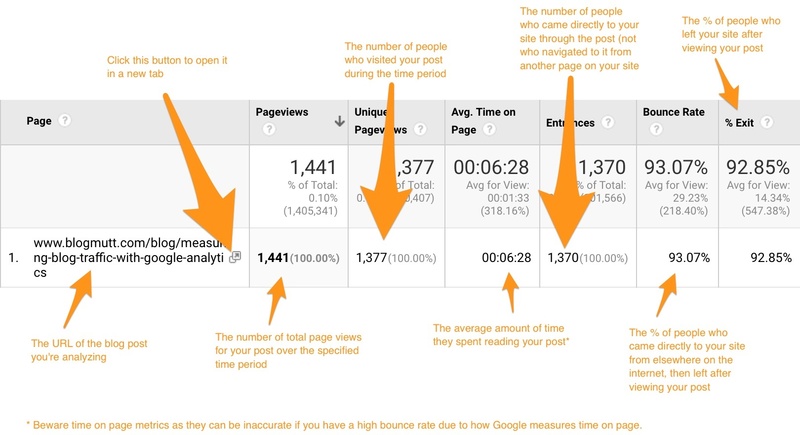 After you understand these metrics, do some comparisons 1) between your blog posts and 2) for a given blog post over time. And do keep in mind that as with all digital analytics, it’s important to understand that not all of these metrics will be 100% accurate, and all of these metrics are nuanced! But, doing a comparison against your own data will give you a great starting point for understanding your blog. You now understand the basics of Google Analytics for blog traffic. Now that you know how to track blog traffic and check performance analytics (a hugely important, critical step), you can use this data to make informed, data-driven decisions about your blog’s direction. What are your most popular posts, and why might that be? Is it because of post length? Topics that resonated with your readership? Number of social shares? Time of day you shared on social networks? Once you know which of your posts are successful, what can you do to create complementary website content around these topics? Can you improve on your successful posts by updating them with additional information? HubSpot has a great post about that here. Thinking about questions like this is a great starting point for using your blog to help you achieve your business goals. If you’re looking for more on measuring the success of your blog, we’ve got articles on measuring blog engagement, measuring blog ROI, and how blogging helps SEO to get you started. And who are we, and how do we fit into all of this, you might ask? We’re Verblio (formerly BlogMutt)—a service that helps marketing agencies and small businesses create high-quality blog content to support business goals like SEO, a robust online presence, and content to power social media campaigns. Wondering how we might be able to create blog posts on your particular business to drive traffic and get those Google Analytics numbers humming? We have freelance writers for hire who specialize in website content writing for industry-specific blog posts and marketing agencies that drive and track blog traffic and engage your audience.